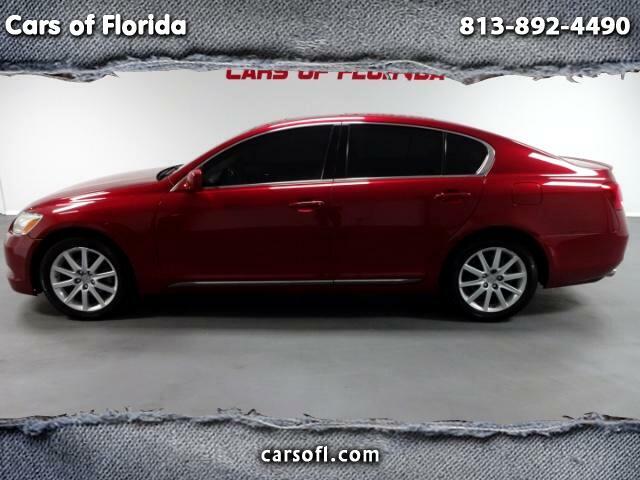 Cars of Florida is proud to announce this 2006 Lexus GS300 AWD. This vehicle has exceptionally low miles for it's age at 108k. This vehicle comes in a beautiful deep red color with spotless tan leather. From the exterior to the interior you will find no blemishes on this vehicle. All components mechanically inspected, this vehicle runs great! Fresh new top of the line battery and synthetic oil change completed. Needs nothing! Sunroof, Bluetooth, navigation and much more! Fully loaded! This Lexus GS300 is the All Wheel Drive edition providing a great ride with strong stability. This is the GS you been looking for! We offer competitive interest rates for all credit individuals and make the purchase process easy. We guide you from A-Z and will ensure you top satisfaction. Call us today and let your new car find you!